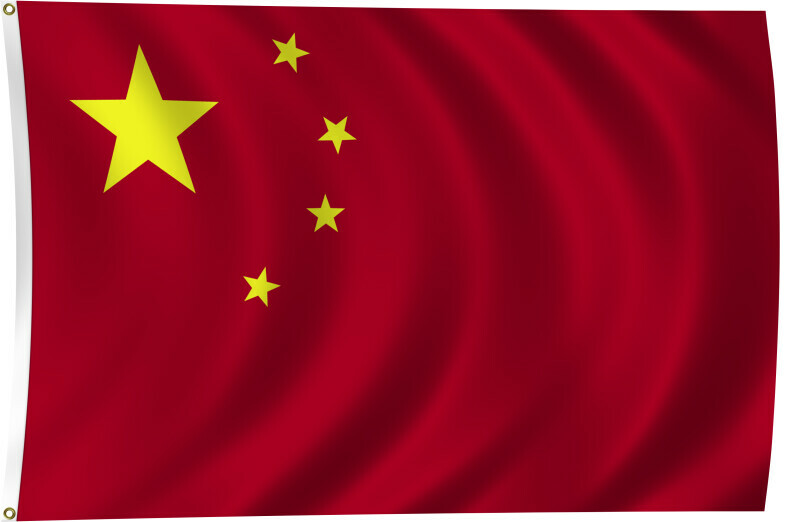 Color flag of the People's Republic of China. Red with a large yellow five-pointed star and four smaller yellow five-pointed stars (arranged in a vertical arc toward the middle of the flag) in the upper hoist-side corner. Flat color and black/white versions of world flags are available on the Clipart ETC website.